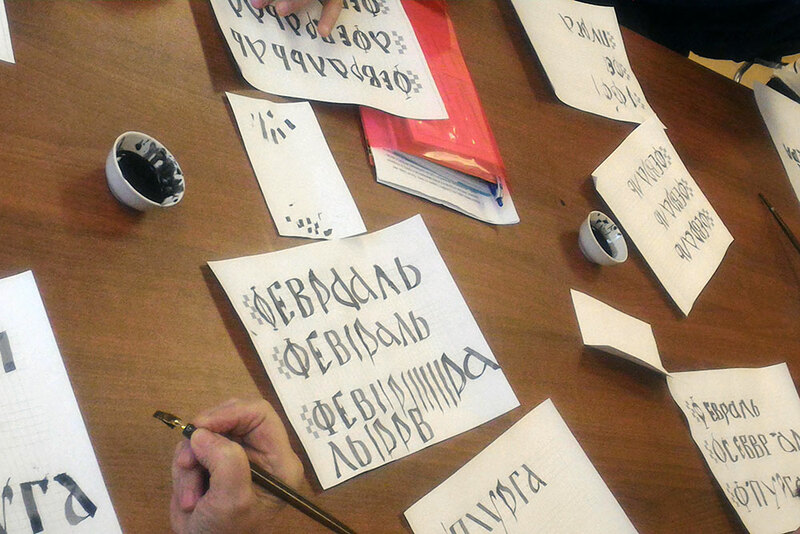 In December 2017, the Contemporary Museum of calligraphy launched the “Calligraphy for All” project at the premises of the Centre of speech pathology and neurorehabilitation of the Moscow City Health Department. The Museum representatives have showed a video presentation and have offered the information about the Museum. The calligrapher Oxana Paponina gave several trial lessons for the patients and the employees of the Centre. The calligraphy exercise became for the patients either an informative occupation or a treatment procedure in the course of which they have discovered a new way of relaxation and exposure to their inner world. The comforting atmosphere of creativity, childish excitement in the eyes and joy of the first successes have therapeutic benefits that make the patients fight against the disease’s consequences and come back to their habitual way of living. A medical education helps Oxana in her works with patients. Within the period from December up to the present time, the master discovered a remarkable thing: in different groups people take seats in the same manner during the lessons. It appeared that this depends on the temperament. The calligrapher already determined 3 types of “apprentices” for herself: 1) weak link (I do as works out!) they take seats on the left side of the master; 2) advanced group — on the right side; 3) middle link — in the centre and on the periphery of the lesson room. Nevertheless, most of the attendees including the doctors of the day patient facility feel new interest in the calligraphy. Alongside with their patients they size the opportunity to learn a new letter or to write a successful word on the fair copy. 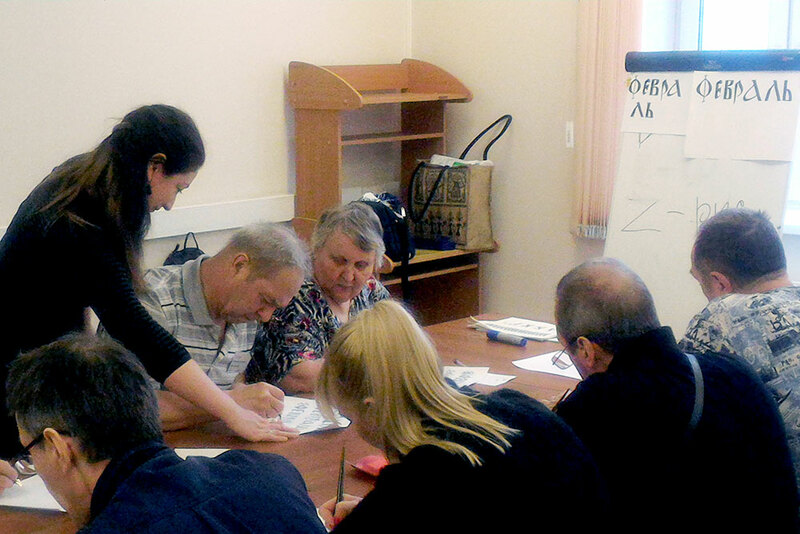 We express our gratitude to the Centre of speech pathology and neurorehabilitation for their attention to our employees as well as for their support of the launched project!